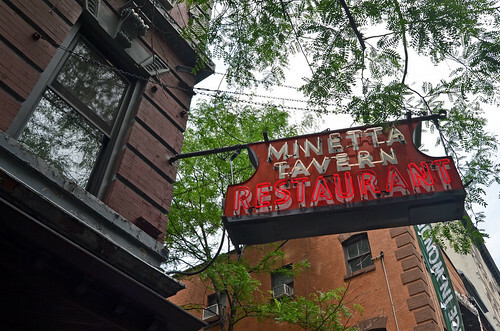 I've been wanting to eat at Minetta Tavern for years now. It can be hard to score a dinner reservation, but I had no problems getting a table for four for brunch. Mr. and Mrs. PropTart met us at this old-school establishment. 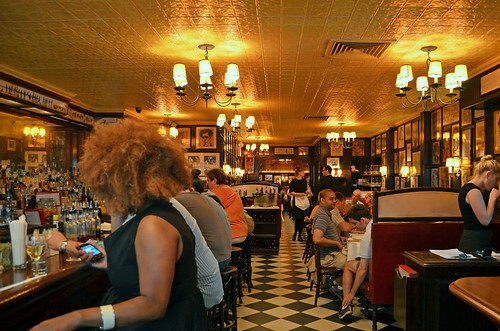 Minetta Tavern touts itself as "a Parisian steakhouse meets classic New York City tavern." We shared a few starters. 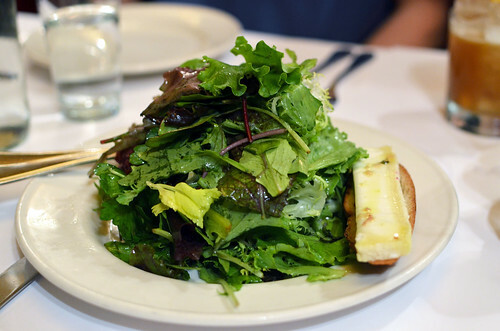 Mesclun salad with warm goat cheese ($14). Simple and tangy greens. 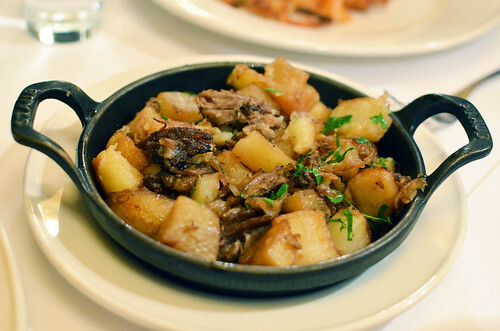 The warm goat cheese stole the show. Of course. Mmm. Cast-iron awesomeness. Beautifully browned. Tender. Juicy. Salty. Wonderful. Look at it. Look at it some more. Yeah. You know it. I didn't photograph the PropTarts' meals, so they could enjoy them immediately. Mr. Monkey was not as lucky, but he's used to my nonsense. Obviously. 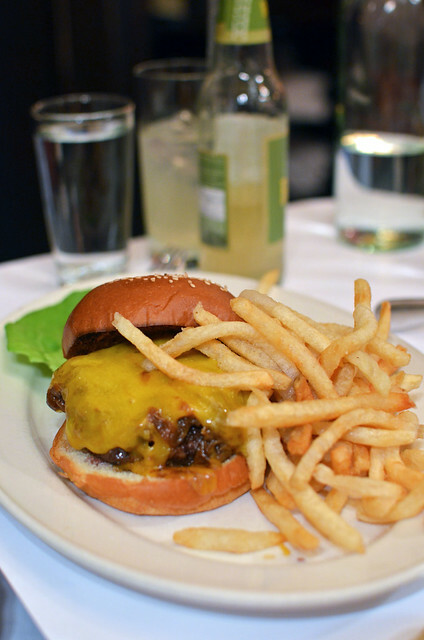 Minetta Burger with cheddar and caramelized onions ($17). 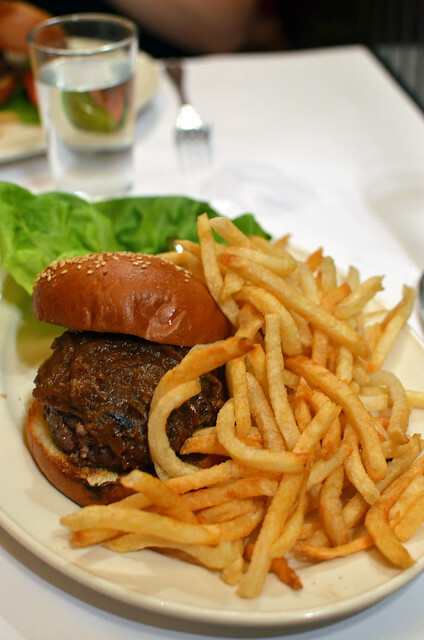 Black Label Burger -- selection of prime dry-aged beef cuts with caramelized onions ($26). Even more fabulous. This is the one to get, folks. This is the burger. Tarte demoiselles tatin -- caramelized upside-down apple tart with crème fraîche ($9). 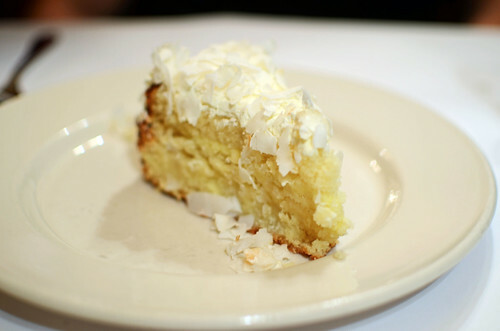 Coconut layer cake with crème fraîche pastry cream and toasted shavings ($9). Even this coconut hater loved her bite. Really nice cake. 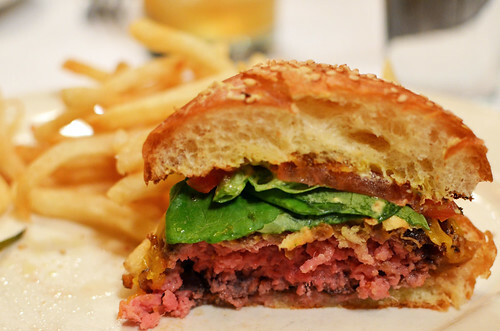 Was the famous Black Label Burger everything I dreamed it would be? Some consider it the best burger in the nation. I enjoyed it very much, and I felt fine paying $26 for it. That's a pretty good endorsement, right? Glad it was delicious. 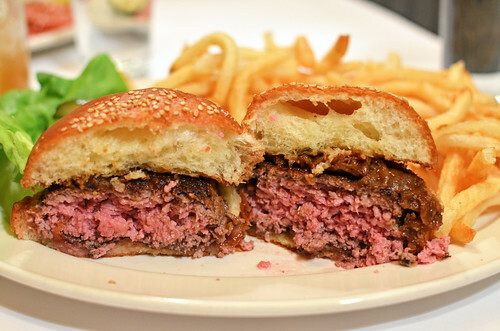 26 bucks is not too bad for the possible best burger in the nation. Have you heard about the burger with gold leaf? It costs way more than that. LOL. 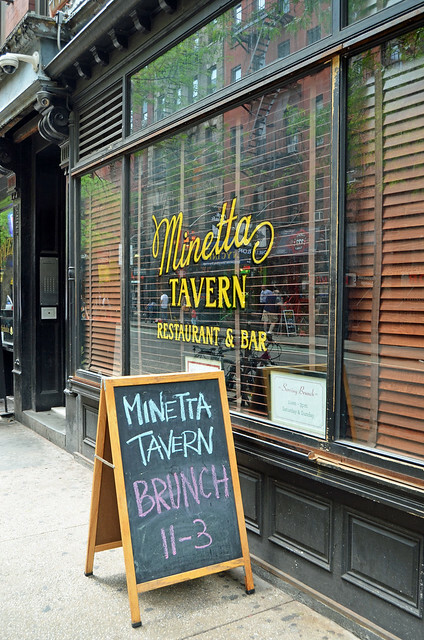 Looks like I did Minetta Tavern a disservice with my title. I have heard of the gold leaf burger. Who wants to eat gold?! I have dreams about that bacon. 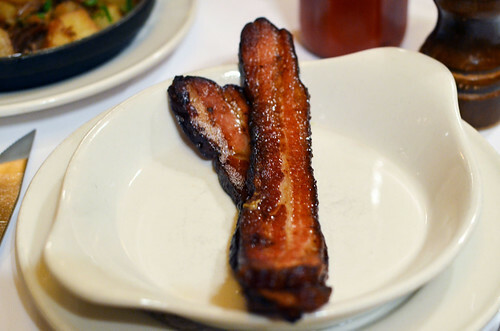 That bacon is the stuff dreams are made of. Man. That looks tasty. And that bacon! !!! I highly encourage you to visit! Now, I want to go too. 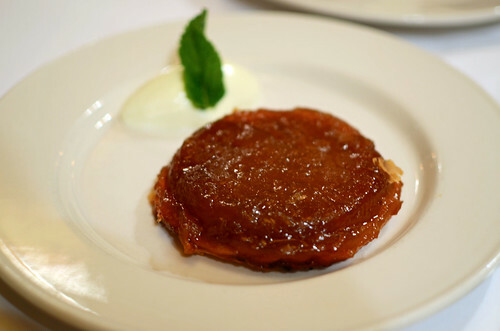 I love an apple tart aka tartine demademoiselles demicoupe glace angelique gelee aplee. Rosetta Stone. I know. oui oui. Honh honh honh, henh henh henh. blah blah blah BACON blah blah blah. because you KNOW that's how i read this post. drool.